name. 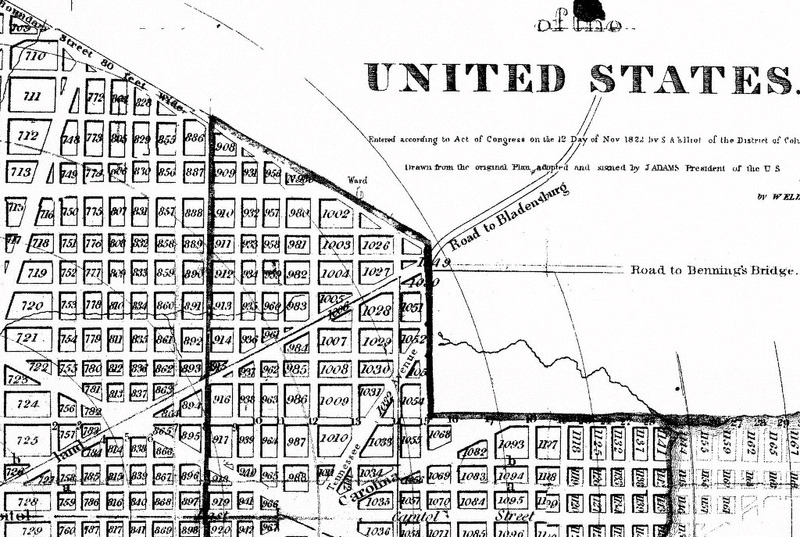 The neighborhood sits on land that once was part of the estate, which is visible on the Boschke map of the late 1850s. 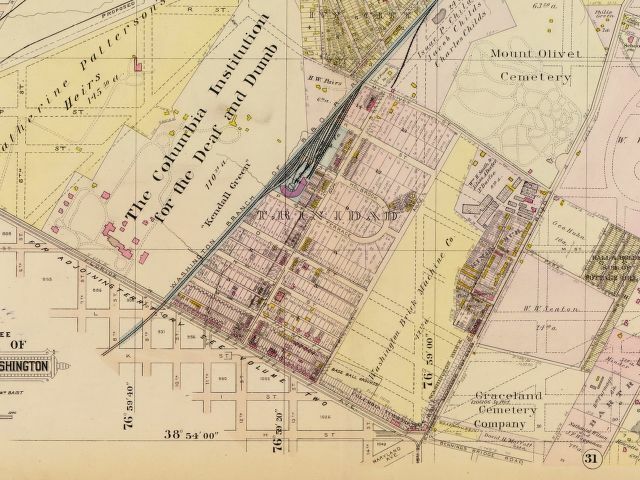 The land later passed to George Washington University before being sold to Washington Brick Machine Company, one of the brickworks that once operated in the area. The brickworks intended to excavate clay from the land. Realizing that they did not need all of the land, the brickworks began selling off parcels, and, in the late 1800s/early 1900s, the first houses in southern Trinidad were built. 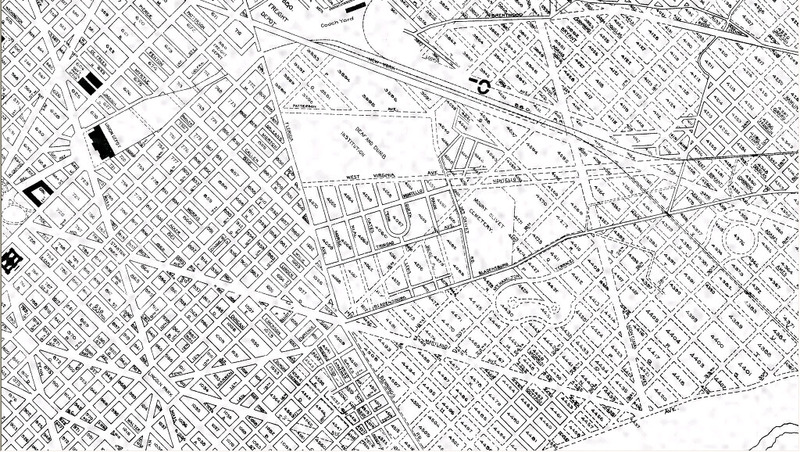 The neighborhood was formally established in 1888. 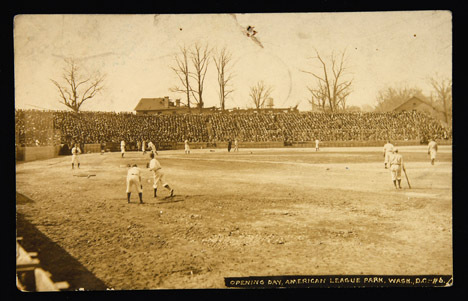 From 1901 to 1902, the southeastern section of Trinidad was home to the American League Baseball Park. Many of the neighborhood’s rowhouses are built in a flat, porch-fronted style (similar to the American Craftsman Style) that gained popularity during the 1920s. 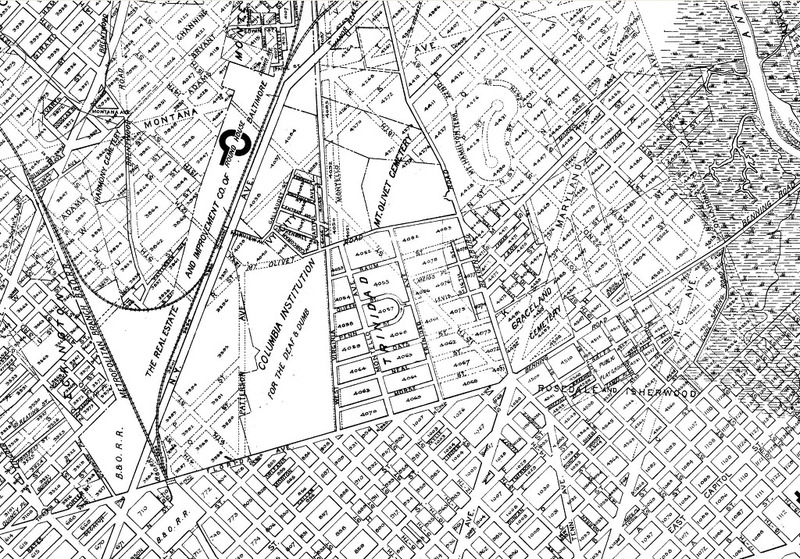 Northern portions of Trinidad were developed later, some sections as late as the 1940s. 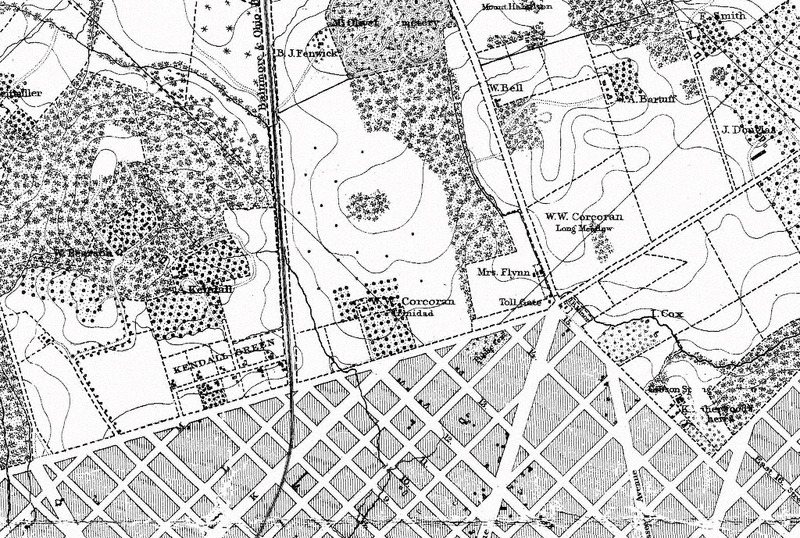 1903 Baist real estate atlas map of Trinidad.